Jeremiah 5:1 (ESV) "Run to and fro through the streets of Jerusalem, look and take note! Search her squares to see if you can find a man, one who does justice and seeks truth, that I may pardon her." Have you ever struggled to forgive someone? What if they commit the same grievance a second or third time, even after all is forgiven? How likely are you to forgive again … and again? Jeremiah 5 tells a dismal tale. The inhabitants of Judah — part of God's chosen people — have completely rejected their Creator. Not once, not twice, but over and over and over again. They committed atrocity after atrocity against the Heavenly Father who had remained faithful to them for generations. In Jeremiah 5:1-6, God offers forgiveness if Jeremiah can locate one righteous person in all of Jerusalem. However, God knows it is an impossible task — which speaks to the depravity of the city as a whole. This is reminiscent of the story of Sodom and Gomorrah in Genesis 18, when God assures Abraham that for 10 righteous people — negotiated down from 50 — He will not destroy the city. Unfortunately, Abraham's proposal is wishful thinking, and the city meets a fiery fate. (Genesis 18:20-33; 19:23-29) Jeremiah finds himself in a similarly impossible situation; God's request for just one righteous man suggests Judah had deteriorated further than Sodom and Gomorrah. Several verses reveal the extent of Judah's fall. The people conducted themselves dishonestly and ignored truth, swore falsely and worshipped idols, refused correction, hardened themselves and refused to repent, broke their bond with the Lord, abandoned Him, committed adultery and were "utterly treacherous" to God. (Jeremiah 5:1-8, 11) And that's only the first 11 verses! God describes their hearts as "stubborn" and "rebellious" (Jeremiah 5:23). Despite God's creation, care and cautions, His people lived with their own agendas. (Jeremiah 5:7, 22-24) Time after time, they ignored the consequences of turning from God and denied any personal responsibility. As a result, God allows foreign invaders to prevail against Jerusalem. (Jeremiah 5:10-11, 15-17) He forewarns of Babylon, a powerful empire spanning thousands of years. Sadly, Jeremiah 5:15-17 echoes Moses' counsel from many years before, warning the Israelites against disobedience. (Deuteronomy 28:49-52) Thus, God's admonitions are neither new nor empty. Twice, God asks, "Shall I not punish them for these things? declares the LORD; and shall I not avenge myself on a nation such as this?" (Jeremiah 5:9, 29). But twice, God also stops complete annihilation. (Jeremiah 5:10, 18) Even amidst blatant rebellion, the Father demonstrates strength, compassion and love — as only He can — to repeatedly forgive His treacherous people. Judah may have plunged even deeper into sin than Sodom and Gomorrah, but God meets this decline with even greater mercy. We are not so unlike the ancient Israelites. Our ways of rejecting and rebelling might look different in our world of technology and modernity, but it's as easy as ever to find people, things or roles to replace God. Fortunately, His promise of restoration extends to us, ultimately fulfilled in our Messiah, Jesus. 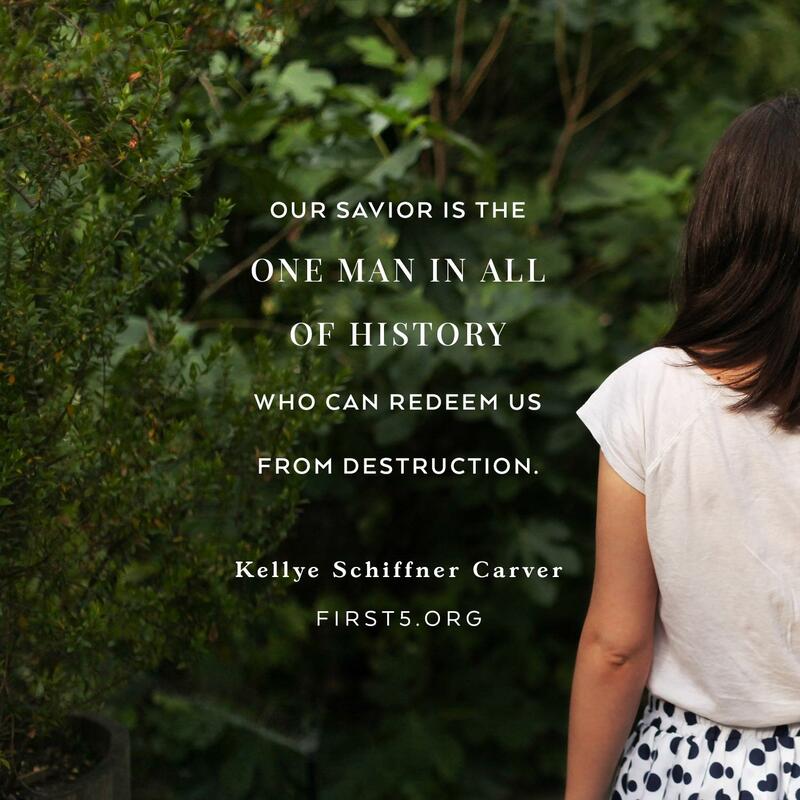 Our Savior is the One Man to be found in the city - or rather, in all of history — who can redeem us from destruction. Prayer: Heavenly Father, I sometimes shake my head at my Christian ancestors who rejected You. It's easy to judge them, but if I'm truthful, there are many ways I rebel against You, too. Please grant me the humility to understand when I am wrong and when I push You away. Please let me learn from their mistakes so as to grow closer — not more distant — from You. In Jesus' name, amen.